1. First, let's make the punch. Grab a gallon pitcher (or use two smaller pitchers), and pour in apple cider. Slice the apples, squeeze the lime and remove stems from the cherries. Add apple slices, cherries and lime juice to the apple cider. Tips: If you want to add a few lime slices, do so right before you're ready to serve. If you let them soak overnight the rind will make your punch bitter. Don't add the Dr Pepper yet either! Chill the cans of Dr Pepper and the cider with fruit in the fridge, ideally overnight, or until you're ready to pack your vehicle and head to the tailgate. 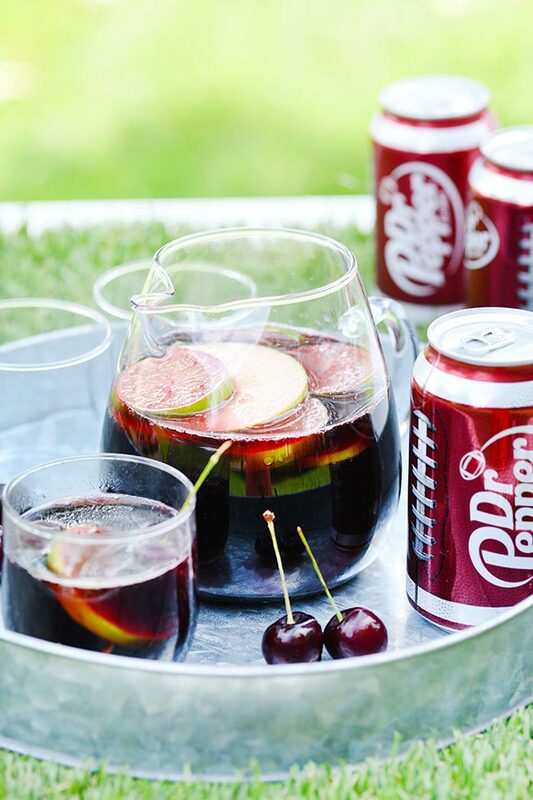 When you get to the tailgate, add the cans of Dr Pepper (and lime slices if you want) and then serve. This will make sure you get some of the bubbly goodness in your punch! 2. Next, the kielbasa stacks. These you can prepare in advance, or just pack a knife and cutting board you can prep at the tailgate! The kielbasa is smoked so it's already cooked, however, if you have a grill at your tailgate, then you can grill the whole sausage link first to heat it up and get a nice flavorful char, then let cool. From there you simply slice the kielbasa about 1/4" thick, at a diagonal to get a fun football-like shape. Then take a pickle slice and secure it to the bottom of the kielbasa with a toothpick. That's it! 3. Happy tailgate season all! It’s okay. You don’t have to admit it if you’re a little more excited about the food, the friends, and the fun tailgating festivities than the actual football game. Deep down, I think what we all love about football season is that it helps ease us out of summer and into fall with the promise of a little more fun before we have to hunker down for the winter. Do you have a favorite college team you cheer on? We’re pretty lucky in that we live in a college town. So the football stadium is literally down the road from our house. We can actually even walk there! Typically we drive though because when we tailgate, well, we have a lot of stuff! We typically bring something for the kids to do, usually just a football or some pom poms to get them in the spirit and to keep the little ones busy so we don’t miss any important plays. Tailgating is one of my favorite fall activities because people of all ages can come together and enjoy a good time and good food. Those of us who like to cook (I’m guessing you’re one of those people!) take this opportunity to try new recipes. Sometimes people bring a football themed snack or dessert, sometimes I see foods and drinks that are trendy or health conscious. There are almost always cookies and casseroles… there was even one time we had fresh trout caught earlier that day, grilled and topped with chunks of sea salt and lemon slices! 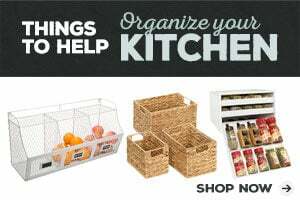 We always stop at Giant Eagle to stock up on ingredients and we’ve been known to bring a portable grill, slow cookers, a fryer—even a potato slicer for fresh-cut fries. We tend to go all out. And it’s awesome. 1. Fall Football Punch – This kid-friendly punch incorporates apple cider, Dr Pepper and fresh fall fruits. 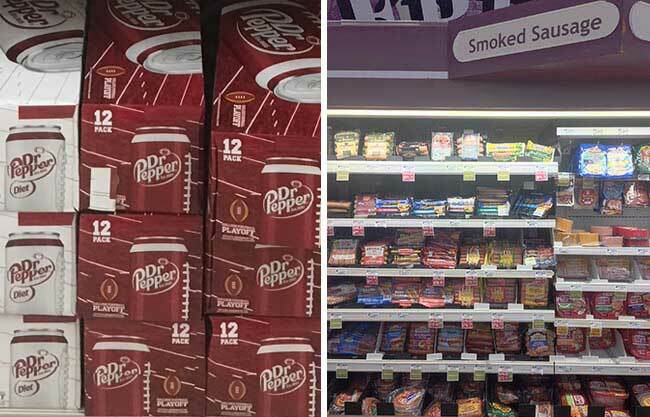 The Dr Pepper football cans are fun and make great grab-and-go drinks for the cooler but I thought it would be fun to step it up a little by mixing Dr Pepper into a fizzy punch. I love the unique flavor of Dr Pepper mixed with the apple cider and the color comes out brown like a football! 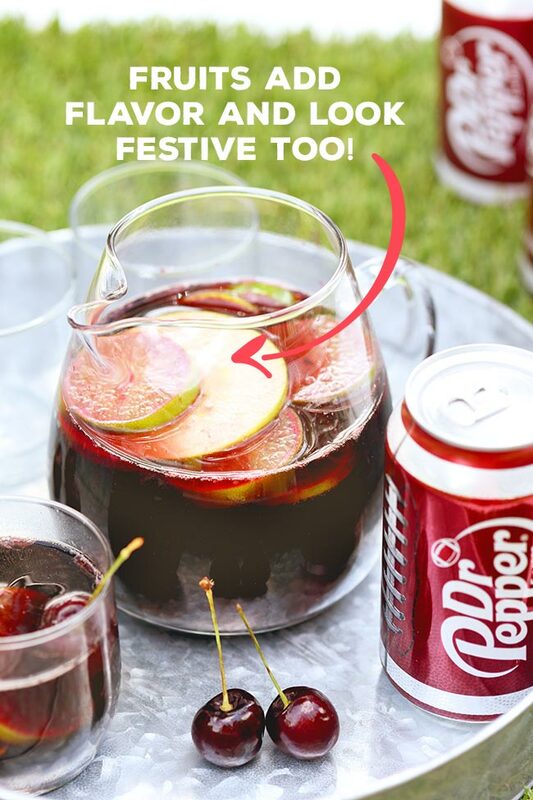 You can use regular or diet Dr Pepper and up to you, but if you like bubbles like I do, then you can prepare the punch without the Dr Pepper, then add it right before you’re ready to drink up. 2. No-Cook Keto Kielbasa Pickle Stacks – This low-carb, keto-diet friendly appetizer is super easy to make because it requires no cooking! Score! 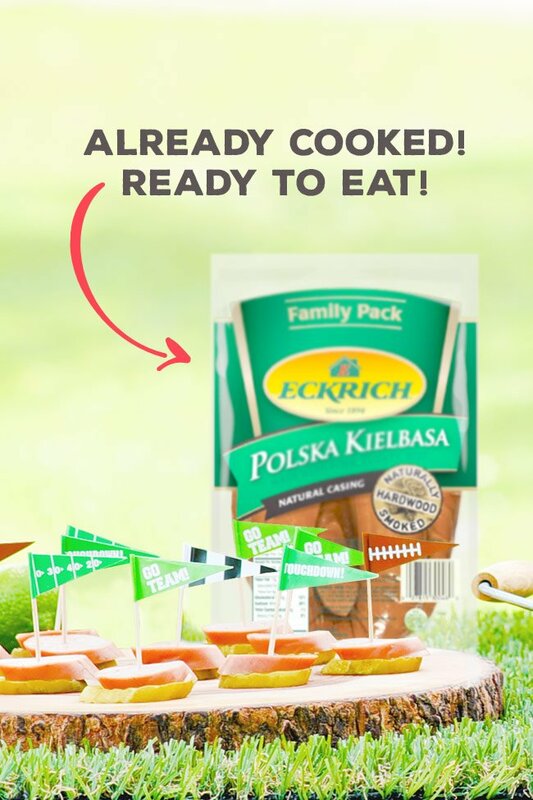 I used Eckrich® Smoked Sausage which, because it is already smoked, is ready to eat right out of the package. You could grill the kielbasa first if you like the extra char flavor, then slice it, but it’s totally not necessary. My favorite part about this appetizer, other than it taking all of 5 minutes to prepare, is that if you slice the kielbasa at an angle, it ends up looking like a football! He he. 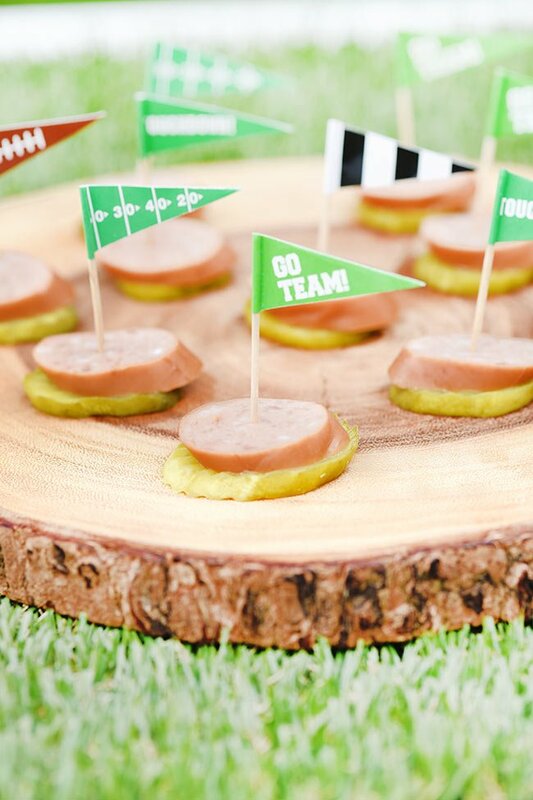 Place it on top of a bright green pickle slice and you’ve got a little “football” on a “field.” This football-inspired, rich, savory appetizer is sure to be a big hit and keto dieters will thank you for bringing something they can actually eat. Top these with football themed toothpick pennants for an extra festive touch. So there you have it! Two new ideas for tailgating this year. What are some of your favorite foods to bring to a tailgate? Locals — head to Giant Eagle to find everything you need to make these! 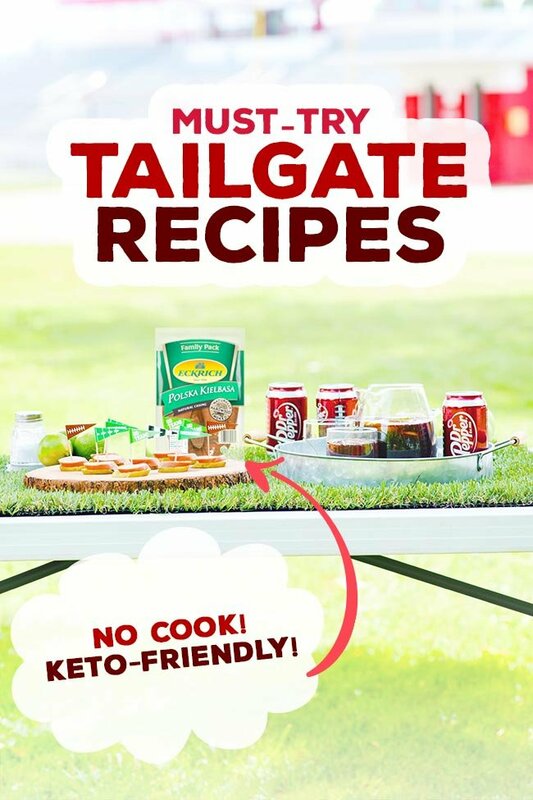 These easy tailgate recipes were featured on Sew It Cook It Craft It!